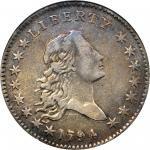 1796 Draped Bust Half Dollar. Small Eagle. O-101, T-1. Rarity-5-. 15 Stars. 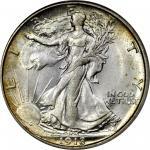 MS-63 (NGC).This phenomenal coin is fully prooflike in finish and, in fact, was cataloged as a "Proof" when offered in New Netherlands 1956 sale of the T. James Clarke Collection. 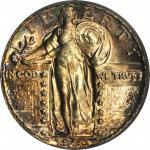 Numismatic scholarship having advanced considerably since the 1950s, we now know that this coin does not qualify as a Proof in the strictest sense of the term. 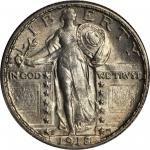 Even so, the fields are well mirrored, the strike is superior for a product of the early United States Mint and the surfaces have been preserved with a remarkable degree of care. 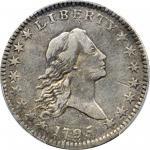 Signs of contact are minimal and confined to a few minuscule abrasions and some even lighter hairlines that can be easily explained away as "cabinet friction" or a similar kind of numismatic handling. Of sizeable abrasions there is nothing to report, and the only significant blemish is a small swirl of variegated color in the upper right obverse field that represents a toning spot caused by a tiny piece of lint that still adheres to the coins surface in that area. 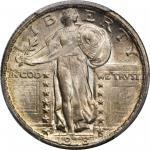 This feature is the most suitable identifier we can find along with a minor planchet flaw (as made) at the reverse border between the words UNITED and STATES. Otherwise olive-gray in tone, with iridescent undertones of vivid pinkish-lilac and cobalt blue colors that come into view at more direct angles. 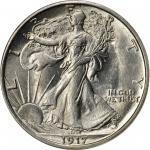 A significant highlight of this sale, and a coin that would serve with distinction in any numismatic cabinet. 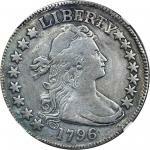 Tompkins Die Stage 5/3.<p>The half dollars that the United States Mint delivered in 1797 differed from the previous issues for this denomination from 1794 and 1795. 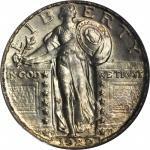 For in late 1796 Mint personnel adopted Robert Scots Draped Bust, Small Eagle design that had already been used in the production of 1795-dated silver dollars for use on the half dollar. 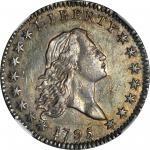 The delivery of 1797 amounted to a mere 3,918 pieces, 1,934 or so examples having been struck from one of two 1796-dated obverse dies. 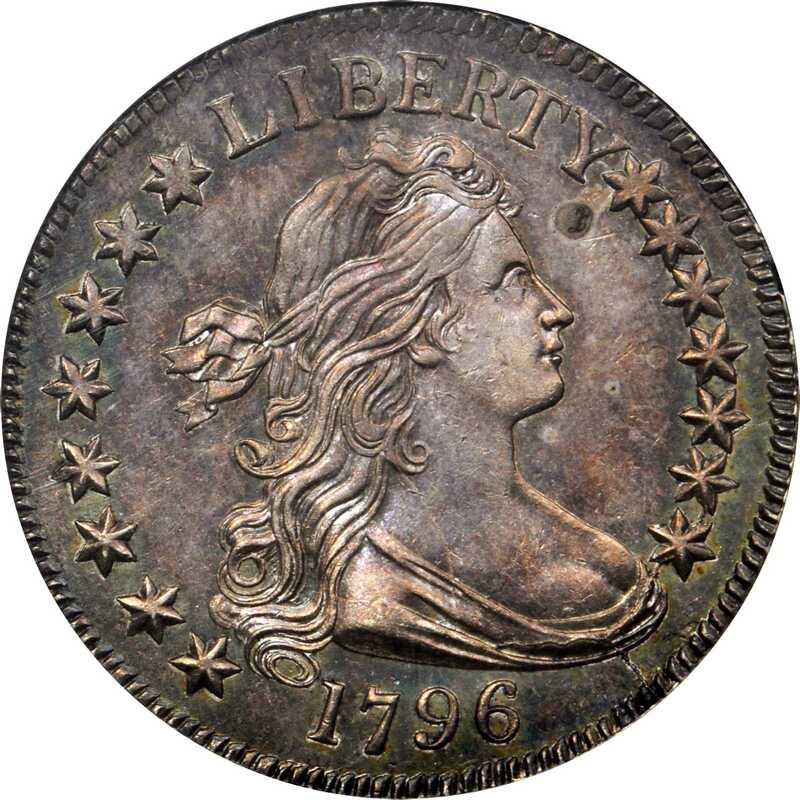 Surprisingly for a denomination that otherwise proved extremely popular with contemporary bullion depositors, no more half dollars were ordered until 1801, at which time the Heraldic Eagle variant of the Draped Bust type became current. 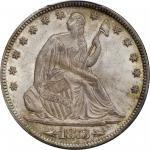 The Draped Bust, Small Eagle half dollar, therefore, became an instant numismatic rarity -- a two-year type with a combined mintage of just 3,918 pieces. 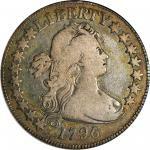 Survivors of both dates are scarce to rare in all grades, and they never fail to cause a stir among advanced collectors whenever the coins make an appearance at auction.<p>The 1796-dated half dollar delivery was achieved through the use of two obverse dies and a single reverse die in two marriages. Overton-101, offered here, is easy to distinguish from O-102 as the former variety exhibits only 15 stars around the obverse border. There are fewer than 100 different examples of the O-101 die marriage believed extant. 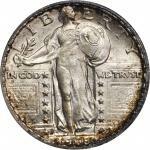 The phenomenal Choice Mint State example that we offer here was once part of the fabulous Norweb Collection -- as well as other important numismatic cabinets -- and it is tied for Condition Census #3 for the die marriage with only two other MS-63s of which we are aware:<p>1 - <strong>NGC MS-63</strong>. Ex Waldo C. Newcomer; "Colonel" E.H.R. Green; T. James Clarke; New Netherlands 47th Sale (T. James Clarke), April 1956, lot 1195; our (Bowers and Merenas sale of the Norweb Collection, November 1988, Part III, lot 3024; our (Bowers and Merenas) sale of the Dennis Irving Long Collection, January 1990, lot 256; our (Stacks) 65th Anniversary Sale, October 2000, lot 876; our (American Numismatic Rarities) Frog Run Farm Collection sale, November-December 2004, lot 1236; our Baltimore Auction of November 2010, lot 1908. <strong><em>The present example</em></strong>.<p>2 - <strong>NGC MS-63</strong>. 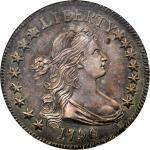 Ex our (Bowers and Merenas) Four Landmark Collections Sale, March 1989, lot 1990; our (American Numismatic Rarities) Allison Park Collection Sale, August 2004, lot 418; Heritages Long Beach Signature Auction of June 2005, lot 6209; Heritages sale of the Southwest Collection, February 2008, lot 528.<p>3 - <strong>PCGS MS-63</strong>. Ex Benjamin H. Collins, January 1896; J.M. Clapp; John H. Clapp; Clapp estate, 1942; Louis E. Eliasberg, Sr.; our (Bowers and Merenas) sale of the Louis E. Eliasberg, Sr. Collection, August 1997, lot 1673; Heritages Denver, CO Signature & Platinum Night Auction of August 2006, lot 5222.Ex Waldo C. Newcomer; "Colonel" E.H.R. Green; T. James Clarke; New Netherlands 47th Sale (T. James Clarke), April 1956, lot 1195; our (Bowers and Merenas sale of the Norweb Collection, November 1988, Part III, lot 3024; our (Bowers and Merenas) sale of the Dennis Irving Long Collection, January 1990, lot 256; our (Stacks) 65th Anniversary Sale, October 2000, lot 876; our (American Numismatic Rarities) Frog Run Farm Collection sale, November-December 2004, lot 1236; our Baltimore Auction of November 2010, lot 1908.